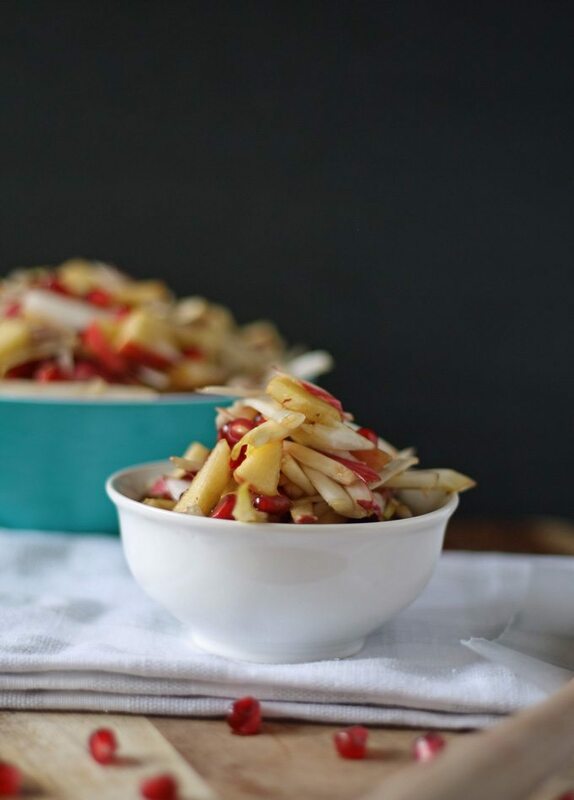 This sweet endive salad is perfect for the end of fall. 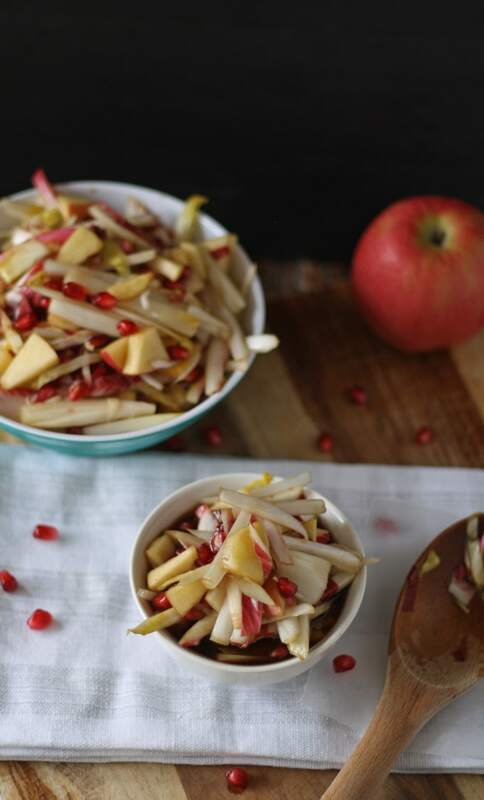 It’s full of fall apples and winter pomegranate! One of my favorite blogger perks are free products. Sometimes its kitchen appliances to review, sometimes kitchen tools. Other times, its food or wine. Those boxes are usually my favorite. 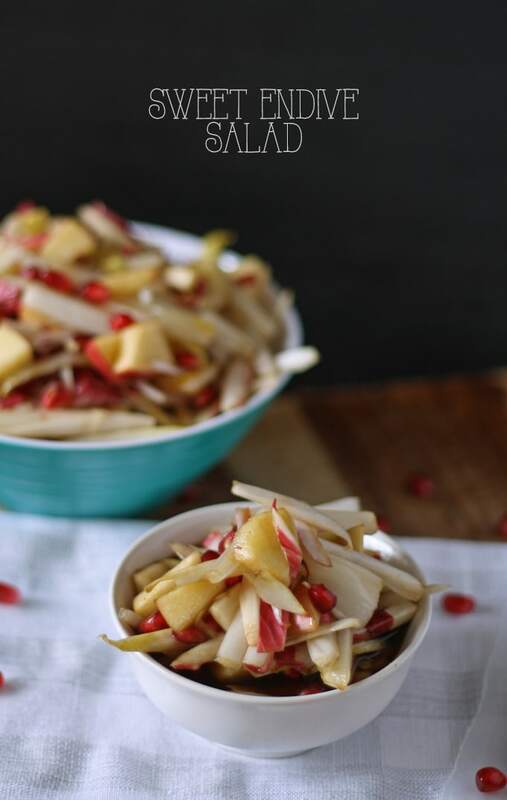 Last month, I was sent a big box of endive from California Endive for a post on entertaining for the holidays. It was the largest box of endive I could ever have hoped to receive. After creating two endive recipes for the previously mentioned post, I still had a lot of endive leftover. This blogger problem was, of course, not a problem at all. It just meant more delicious fodder for my recipe creating. I decided endive was similar enough in texture to cabbage that it would be a great substitute in coleslaw. 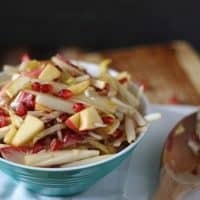 I tried that out and it was delicious – if you are not sure what to do with endive, that is a very safe option. But we’re not doing safe this season at Honey and Birch. And it is perfect for that weird time of year between fall and winter. Is it cold? Is it warm? Who knows what the days will bring. 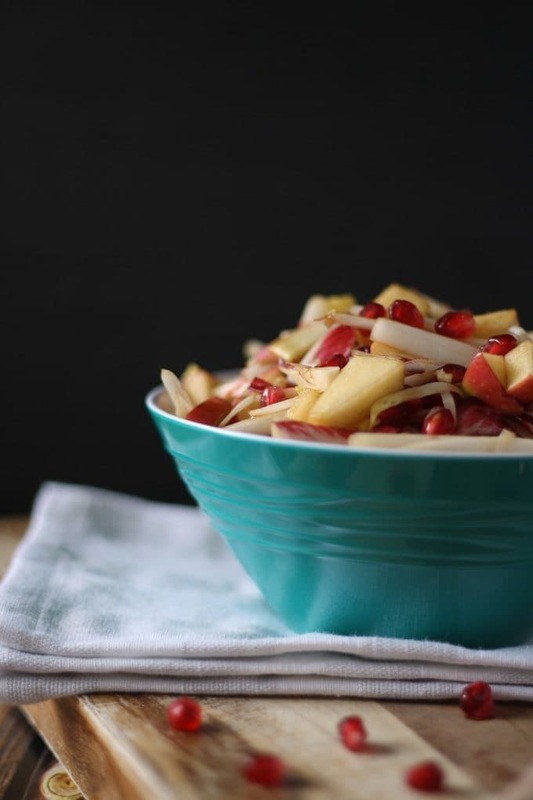 Combine both seasons with this recipe – apples to bring back memories of the dog days of summer and pomegranates – one of winter’s more amazing bounties. 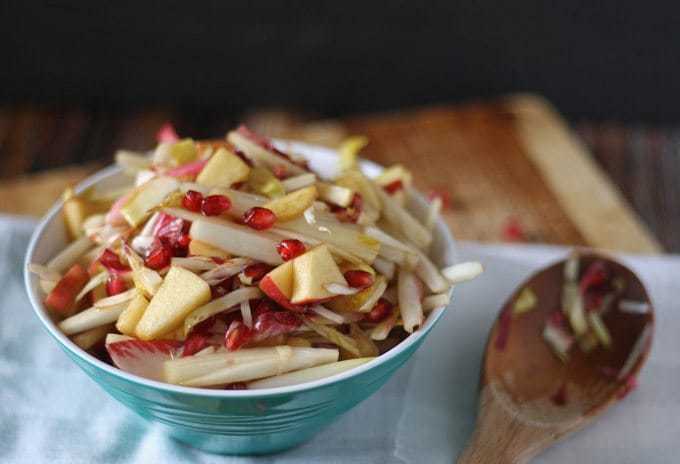 In a medium bowl, combine the endive, apples and pomegranate seeds. In a small bowl, whisk together the honey, balsamic vinegar and salt. Pour it over the endive salad and mix well. It is so easy to prepare that it would be perfect as a last minute addition to your holiday table or a great dish to bring along to a potluck.